In the last article we discussed Bootstrap CSS grids and elements. For the second part of our tutorial, we’re going to study the different base elements and navigation system. Styling HTML elements — which includes headings, paragraphs, forms and tables — is easy but can take some time in the process of web development. 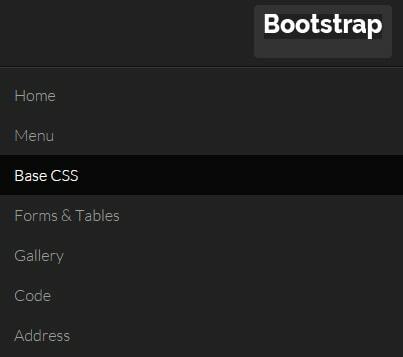 Here, we’ll walk though how to use Bootstrap Base CSS in your HTML pages and how to customize it. 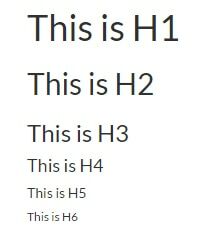 Just like normal HTML, Bootstrap comes with headings of different default sizes. Let’s check out the sizes. Take a look at the code below and see how the default sizes look. The small element is also called “small print,” which is mostly used for legal disclaimers. Let’s see this in action. 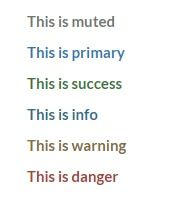 As you can see, the small element was used inside a paragraph tag so it will inherit the size of 12px by default. A block quote tag usually emphasizes quoted text from an outside source. By default bootstrap uses a 5 pixel border on the left size of the quote to specify a block quote. See the sample code below. Take a look on the output of the code. 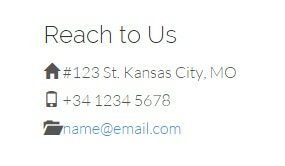 Addresses are represented with the HTML element address. Bootstrap comes with this type of element with just a simple design. See code and output below. The code element usually indicates the fragment of computer code which contains HTML or other programming languages. Usually Bootstrap wraps inline code snippets with the <code> tag along with <pre> tag. To escape coding characters you need to use &lt; and &gt; for the angular brackets in the <code> tag. See the example below. 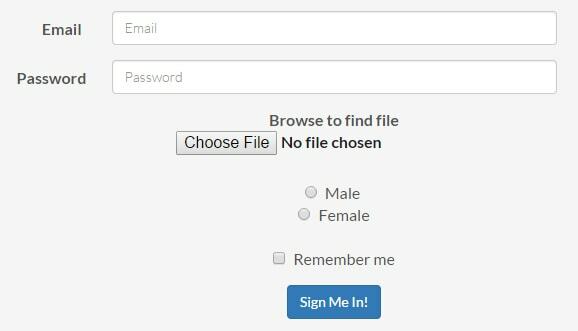 Forms in Bootstrap have a defined style. They can be in normal, horizontal or inline style. Let’s take a look. Check out the code below to see how a normal form in bootstrap works. The output of the code will look like the image below. As you can see, forms in bootstrap have a generic style from the elements group within a class of form-group for proper spacing. Aside from the normal form style in bootstrap you can also use an inline which will set inputs next to each other. To do this, you just need to add the form-inline class to the form element. To align form labels and fields in a horizontal manner in bootstrap, you just need to add the form-horizontal class to the form. As you can see, the form has a horizontal layout. You’ll notice that I put some grid classes on the labels and doing so will make them behave like the grid system. You can also use icons by adding a span class with the glyphicon icon. Learn more about glyphicons. As you can see from the code above we set up an icon for the input field as well as added .has-feedback with right icon. We also use .sr-only and aria-describedy relating to each other to hide information for screen readers. Bootstrap provides five layouts for tables. Basic comes with simple table layout with only horizontal dividers. To use, just add class table on the <table> tag. Striped rows comes with a zebra-stripe layout. To use, just add class table-striped on the <table> tag. Bordered table comes with a typical table with border on each sides. To use, just add class table-bordered on the <table> tag. Hover rows is like the basic style but with hover state within each row. To use, just add class table-hover on the <table> tag. Condensed table comes with compact cell spacing and padding. To use, just add class table-condensed on the <table> tag. Let’s take a look at the striped rows layout. As you can see the code above has ordinary table tags but using the class table-striped, we’ve styled it with zebra-stripe layout. You can set the background color of tables by changing the value of @table-bg via LESS variable and @table-bg-accent for the striped background color. Take note that images can be made responsive using the img-responsive class however IE 8-10, SVG images are disproportionately sized. You can fix it by adding width: 100% \9; on your image CSS. On the code above we’ve used the three classes that we can use for images. Here’s the output. The navbar is one of the responsive components of Bootstrap that serves as the navigation header or container. It is a self-contained bar which has the ability to collapse on smaller screens. Aside from menus, you can also add forms, search boxes and drop-down menus. In Bootstrap, you need to define the role as navigation to help with accessibility. Followed by the navbar class, notice that I used navbar-inverse and navbar-fixed-top. Adding navbar-inverse class will add a black background and a white text on the menu while, the navbar-fixed-top will make it stick and fixed to to the top and make it scroll statically with the page. Next, we’ve added .navbar-header to the <div> element along with the class navbar-brand in an anchor tag inside it. To make responsive navigation, we’ve also set up the classes navbar-collapse and collapse. The class .navbar-toggle will enable the two data elements: data-toggle and data-target which will define which element to toggle. For us to be able to add links, we simply put an unordered list with inside the nav and navbar-nav class. As a final step, we’ve added a simple search bar on the right side of our navbar via navbar-form class. Check out the output image. That’s a blast! In this second part of the tutorial, we’ve learned how Base CSS can be customized and used for the navigation system inside Bootstrap. For the last part of our tutorial, we’re going to dig more into other components of Bootstrap that will surely help you on your projects. Stay tuned. In your example “Small Element” you’re using a class on the col-lg-4. I wouldn’t do this because with the styling on .callout you can cripple the working of bootstrap if you overwrite the bootstrap padding, float or min-height. I personally have no issues with this type of coding though. Bootstrap is a very flexible tool when it comes to using classes. However it might be case to case basis. Over all everything is cool on this tutorial. I wonder what font-face used in described samples?